Dylan Thomas, poet and writer from Swansea. This work here seen in a photograph does not really do justice to its intricate nature. It is made entirely of glass. Made by glass artist Alan Roberts it represents hours of work and attention to detail. The frame we have used was chosen so that there is no distraction from the item. 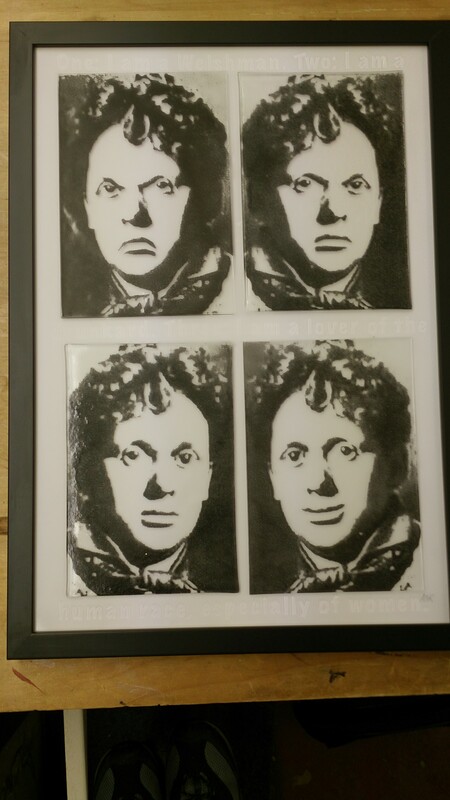 This entry was posted in ART and tagged Art in Glass, Dylan Thomas, Picture Framing. Bookmark the permalink.